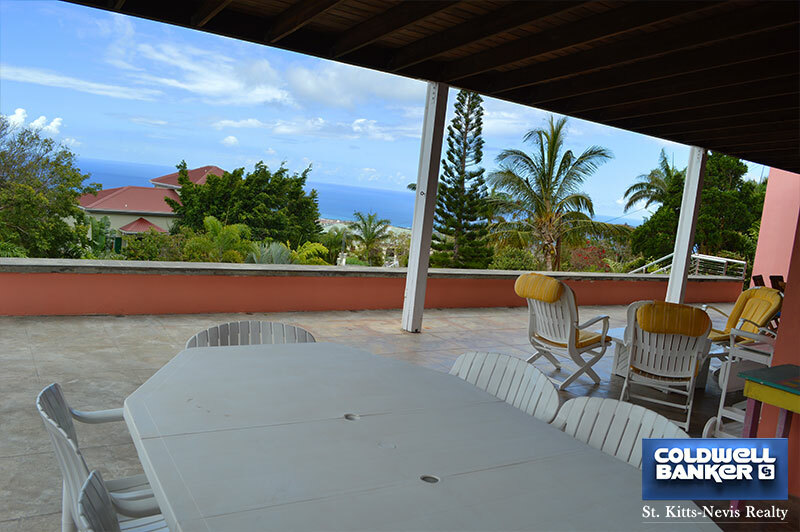 Situated in Morning Star at an elevation of approximately 800 feet above sea level Las Brisas is a very cool property with great views. 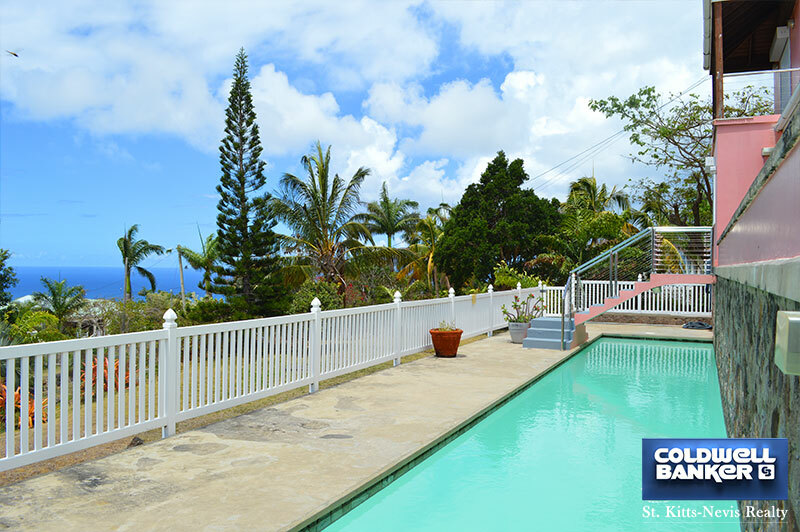 This spacious villa with over 4,000 square feet has 5 bedrooms, 4 bathrooms, a library/office, several verandas, a 54 foot lap pool and a sun deck. 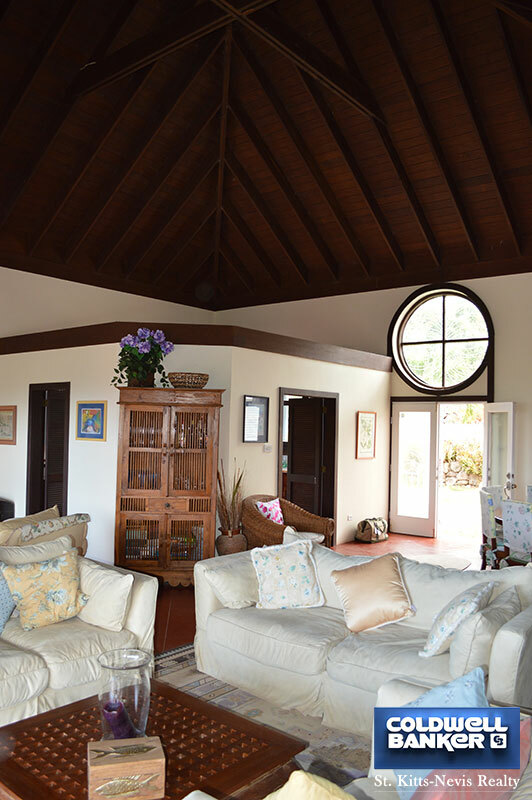 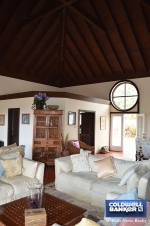 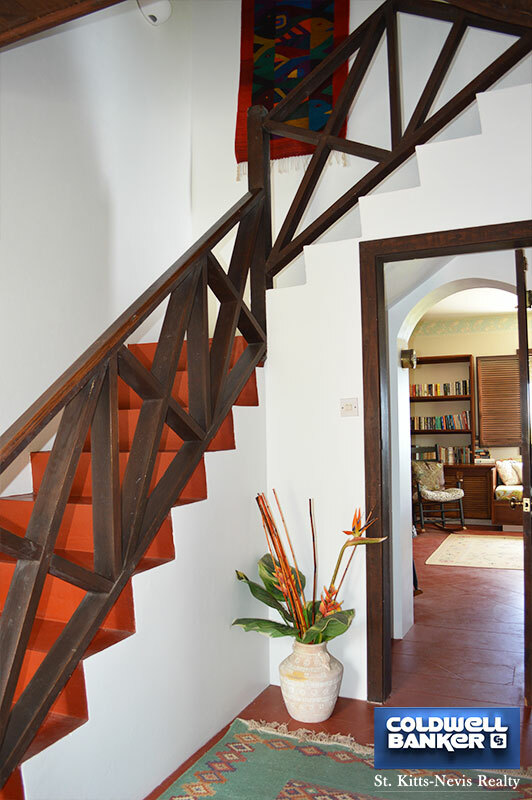 The 30 foot high vaulted ceiling gives the 30' x 30' great room a typical West Indian, tropical ambiance. 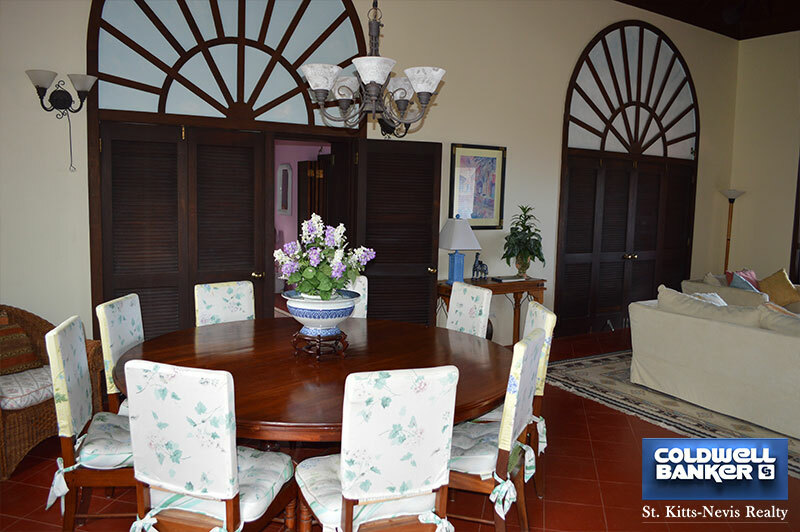 The very comfortable sitting and dining areas on the main level provide ample space to accommodate a full house. 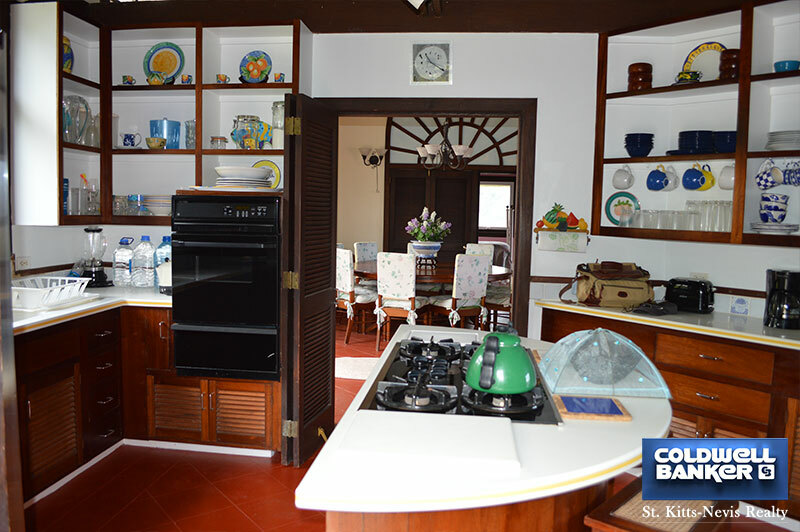 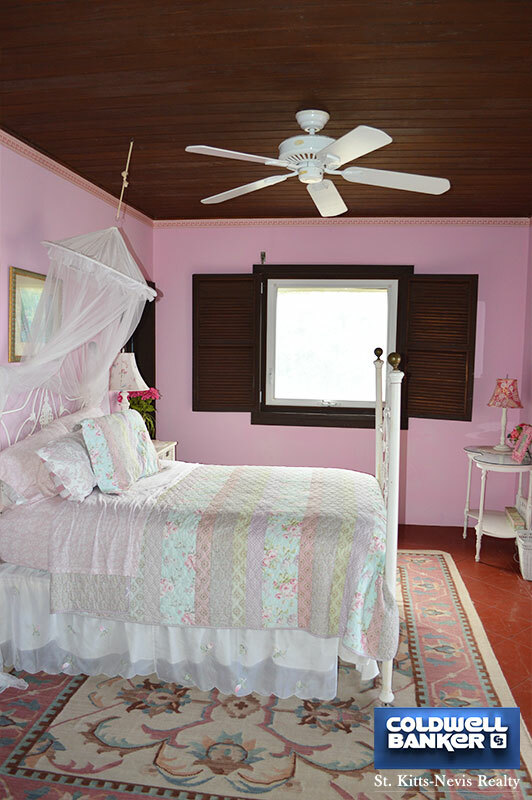 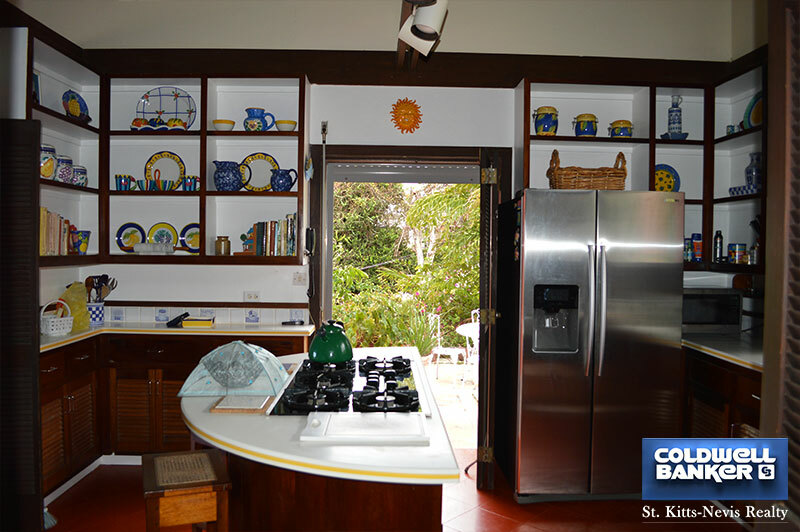 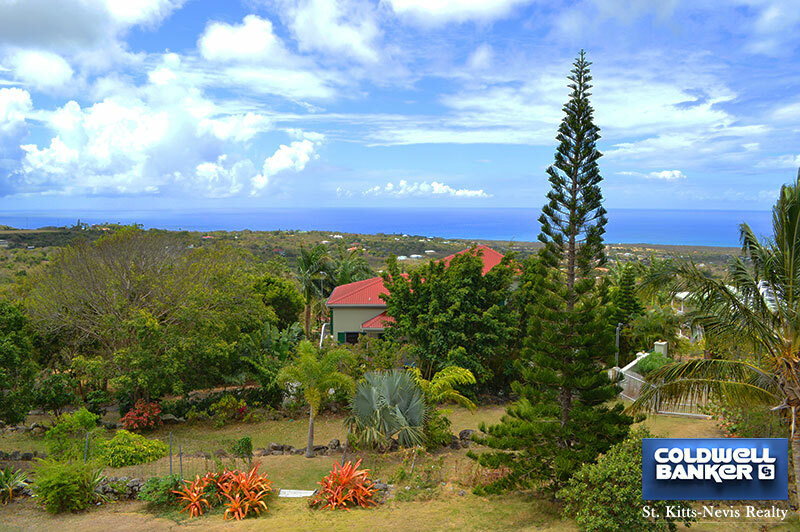 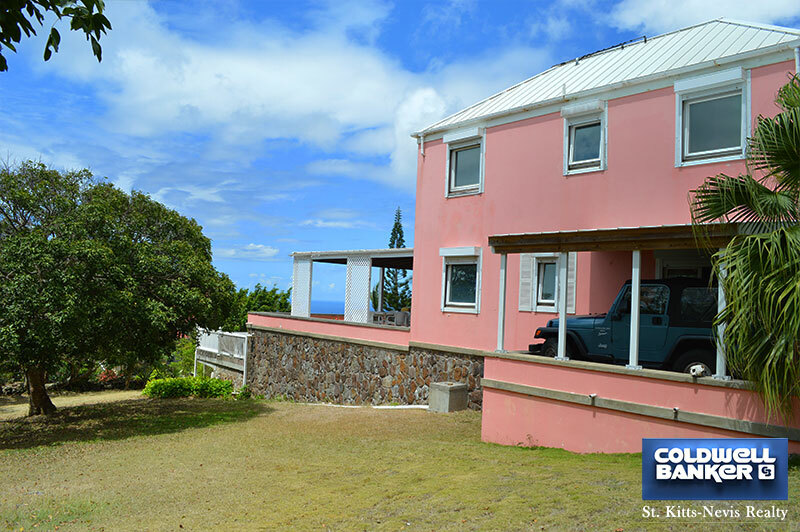 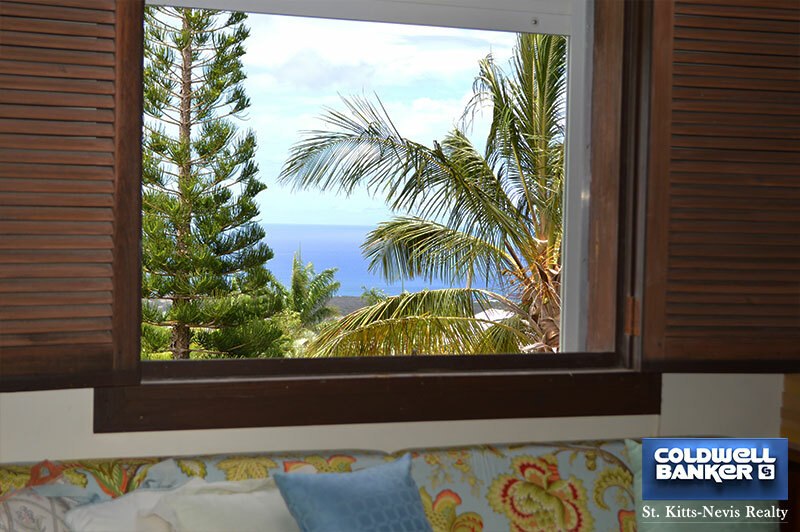 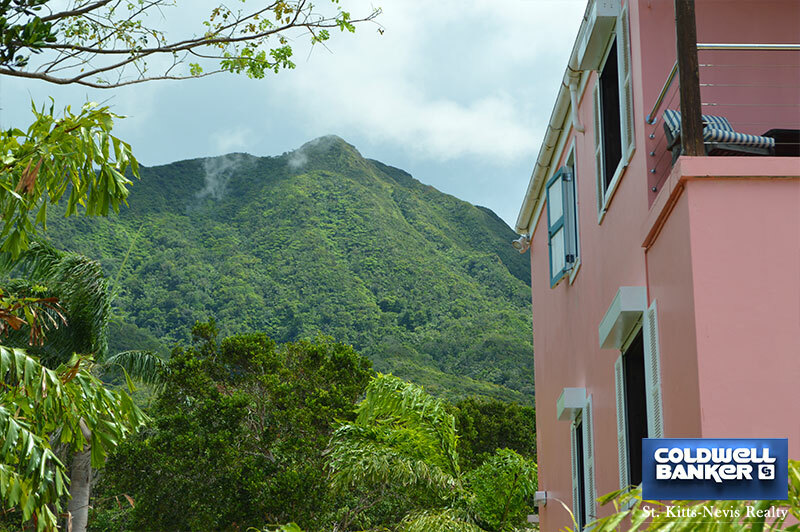 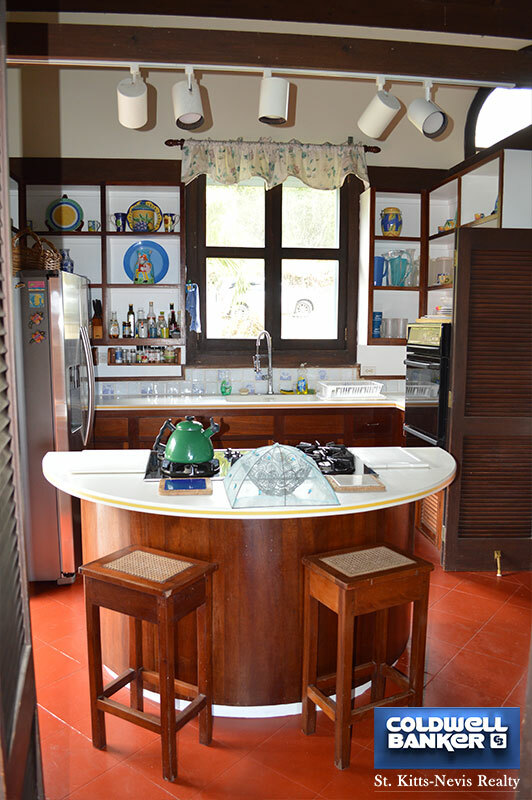 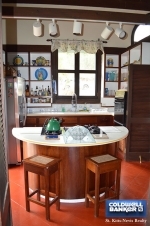 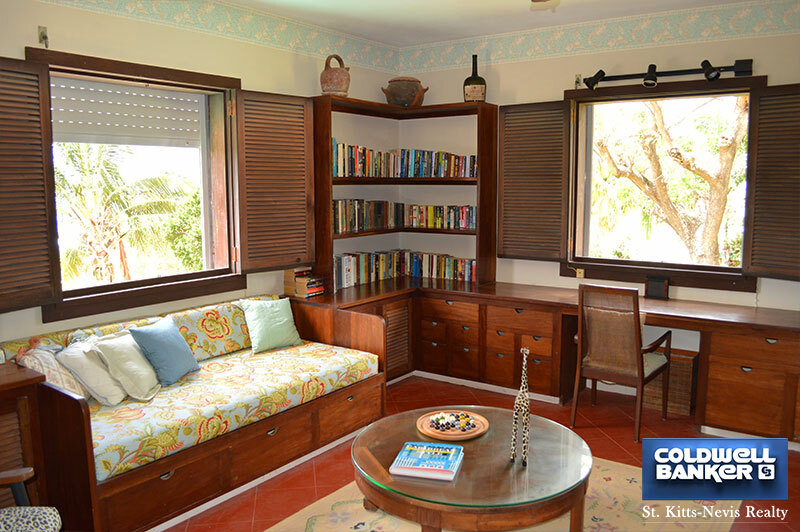 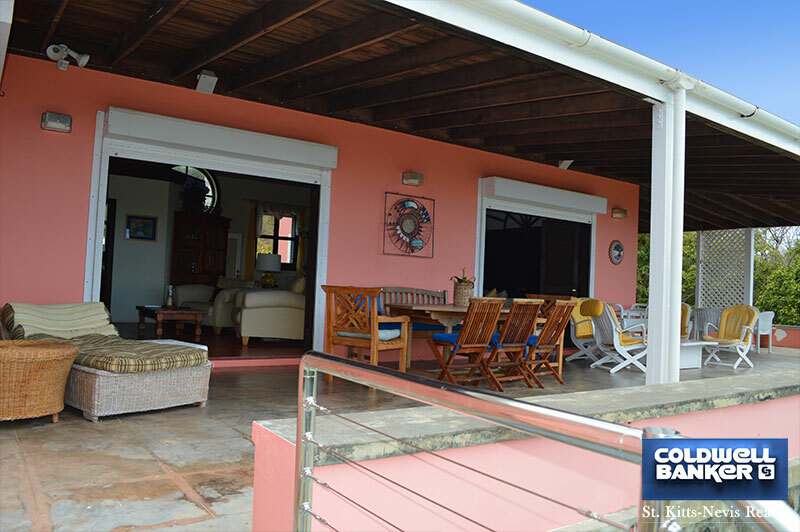 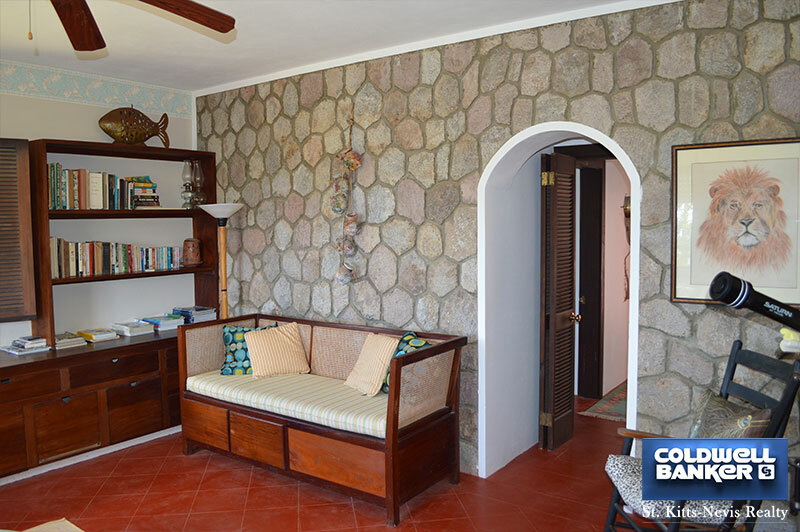 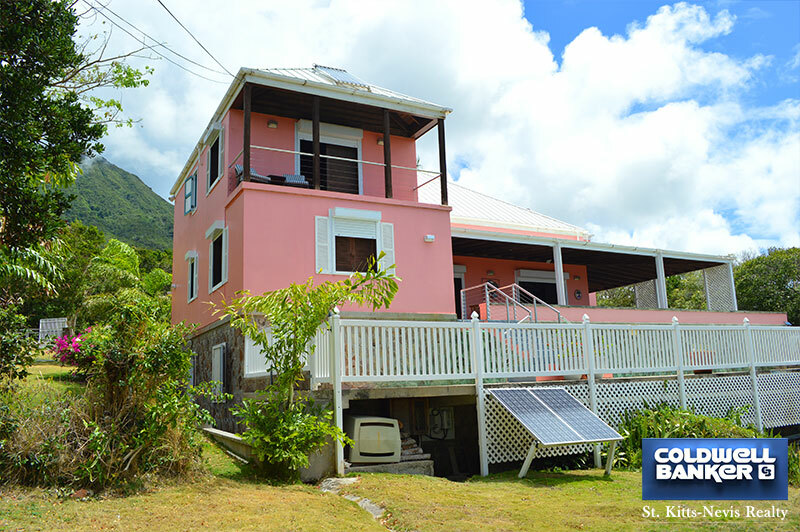 The well equipped kitchen has a breakfast terrace with great views of Mount Nevis. 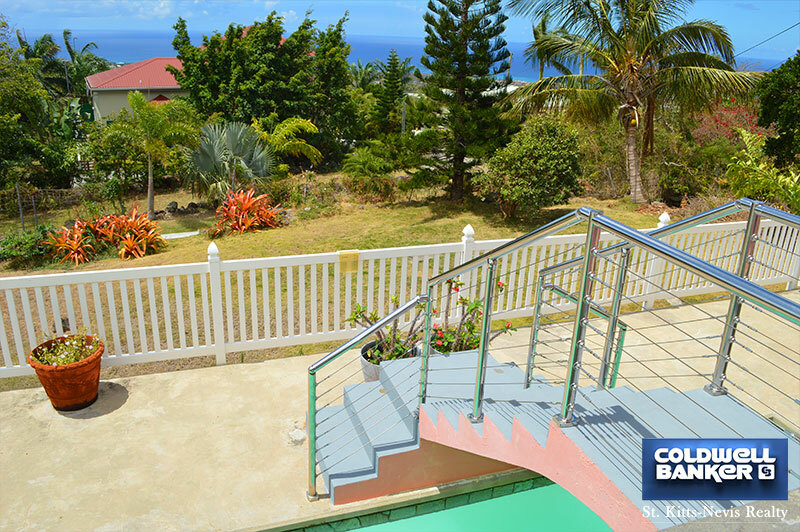 This villa has three levels. There are two staircases on either side of the great room leading to the top level. 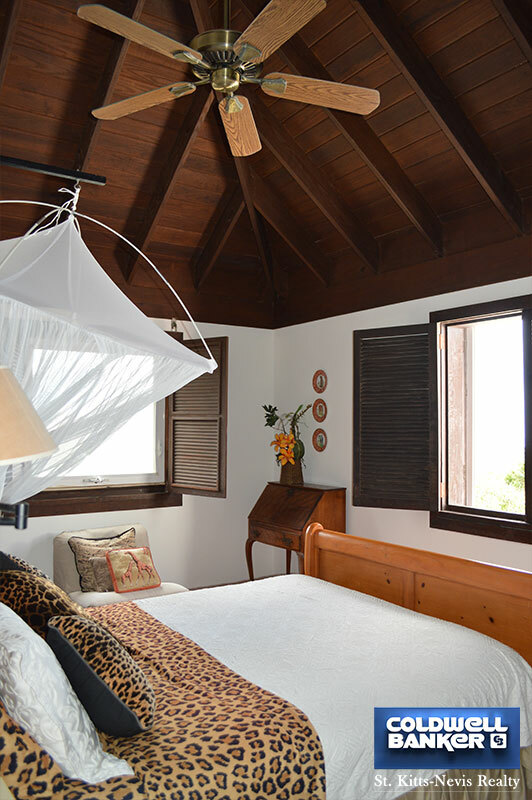 The master bedroom with ensuite bathroom, walk in closet and private veranda is situated on the top level to one side of the great room. 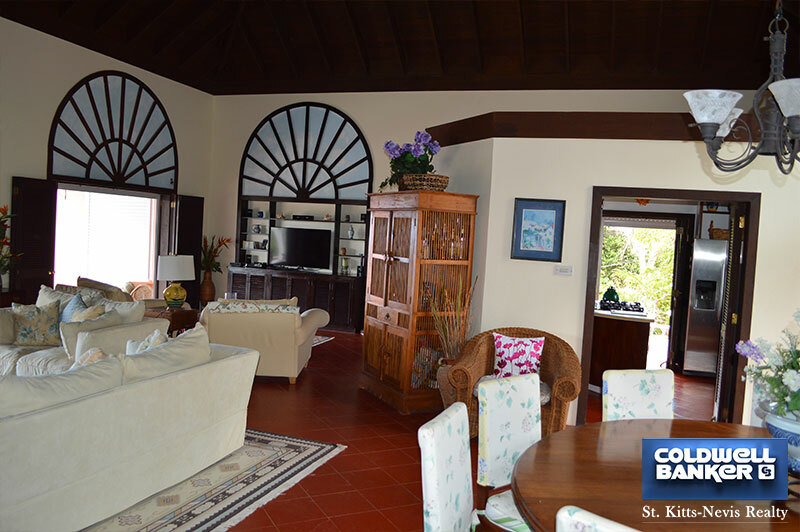 On the other side of the great room there are two bedrooms on the main level and two bedrooms on the top level. 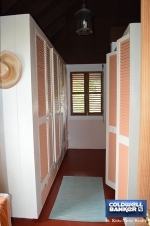 The laundry room equipped with washer and dryer is situated on the lower level along with a storeroom. 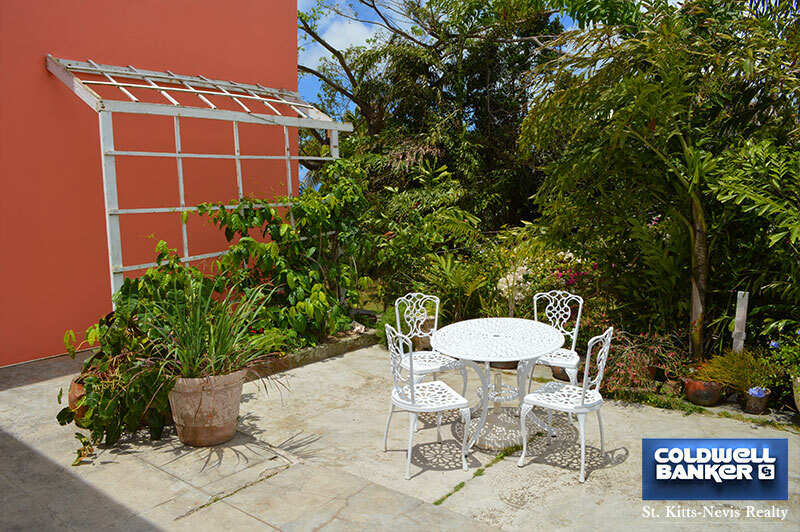 The 1.2 acres of mature garden is well looked after. 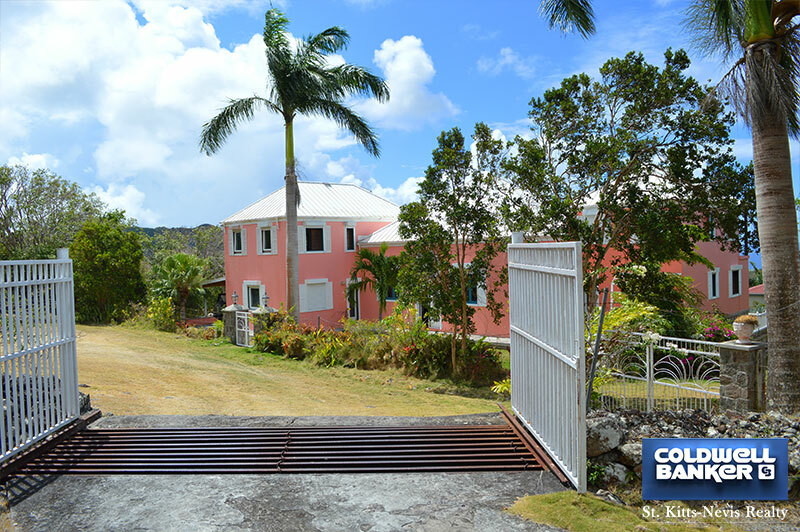 The property is entirely fenced with a gated entrance and a carport. 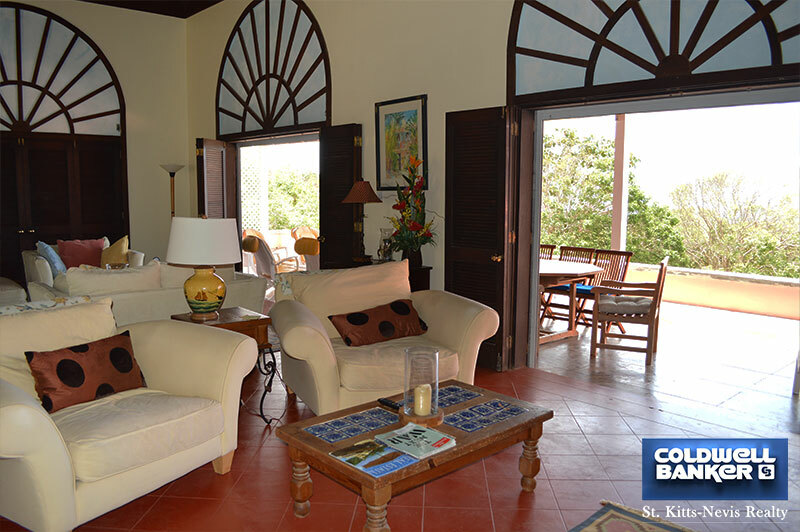 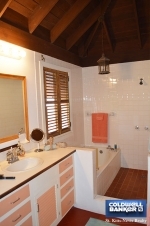 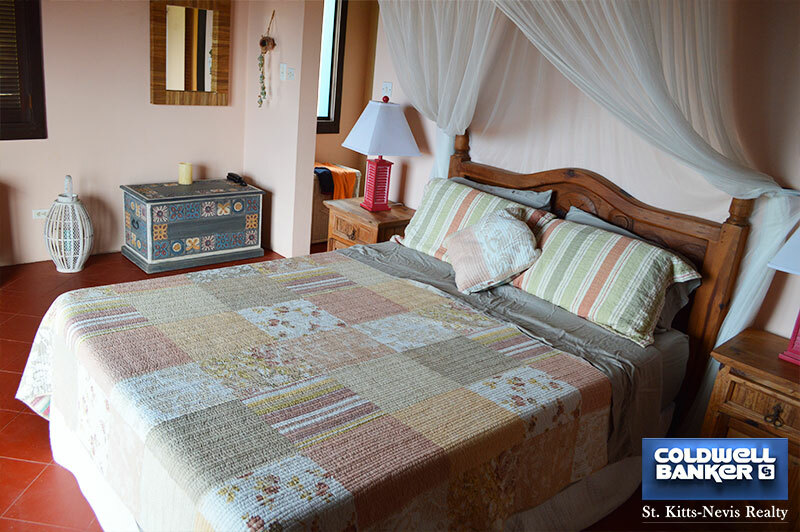 Las Brisas was built in 1985 and has been very well maintained. 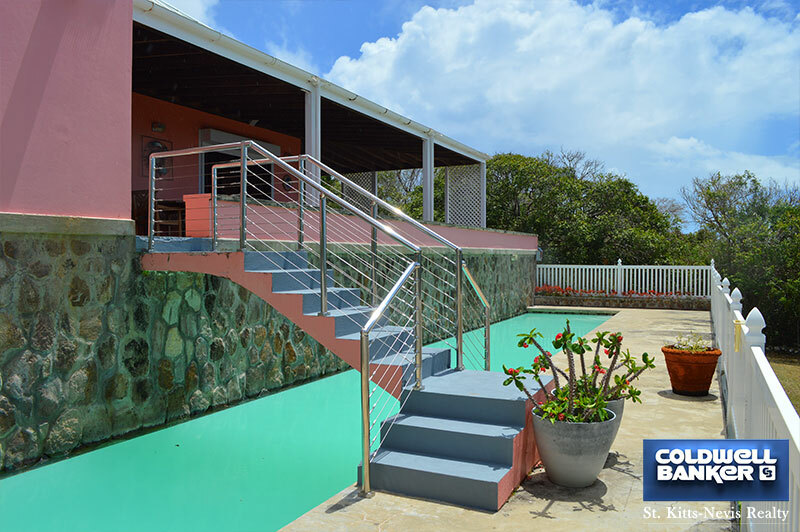 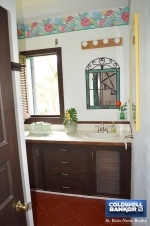 Solar water heating, solar powered pool pump, modern energy saving lighting, metal hurricane shutters, three separate water cisterns make Las Brisas a strong, economic, efficient and comfortable home. 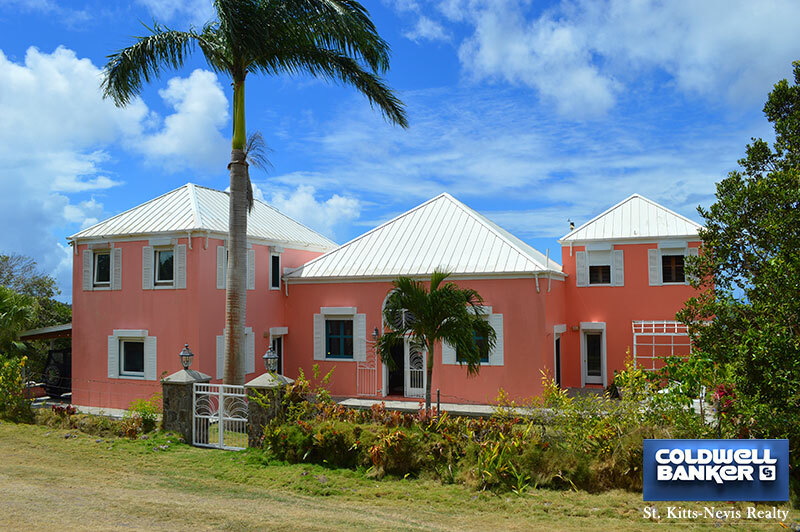 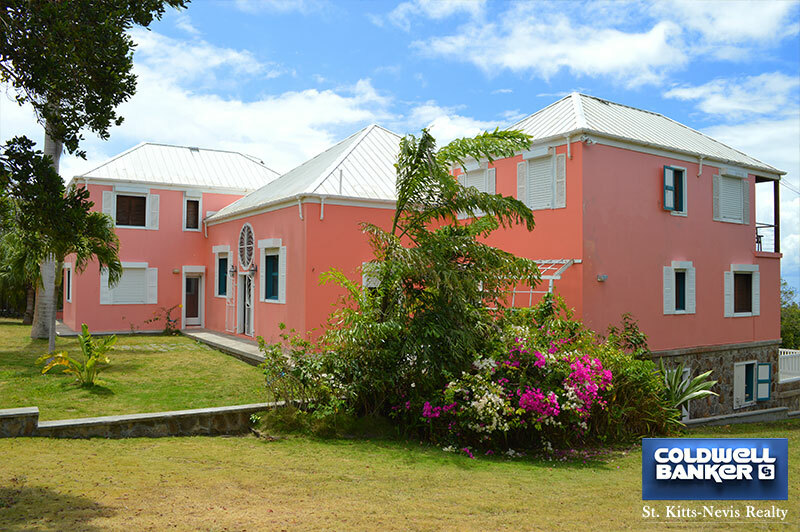 This lovely villa sold fully furnished is a move-in ready home.